A New York, Jewish-style deli has opened in downtown San Diego. The Big Apple flavors of Carnivore Sandwich have expanded throughout America's Finest City. 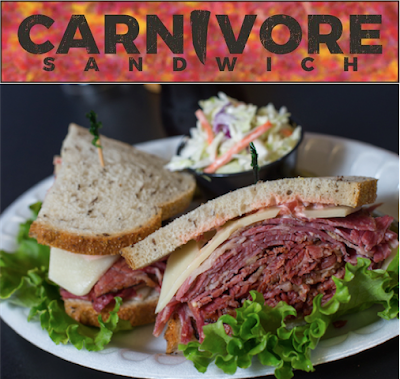 Living up to its name, Carnivore Sandwich serves overstuffed, mile-high sandwiches that demand a big appetite. Formerly known as Nosh Delicatessen at 670 West B Street in Little Italy, the spot has been reinvented as Carnivore Sandwich, with a second location already open at 317 10th Avenue in the East Village. 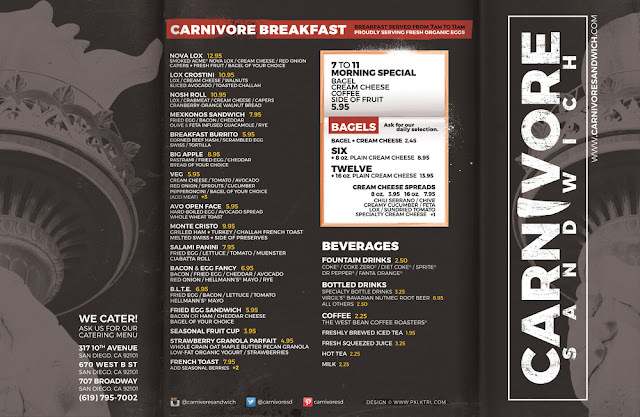 In the coming weeks, Carnivore Sandwich will be beefing up its presence even further with the unveiling of a third location, Carnivore Express, located at 707 Broadway inside the Chase building. Carnivore Express will offer a limited menu for those on the go by highlighting favorites from the other locations. The casual and inviting sandwich shop offers top-of-the-line meats and fish are flown in from across the country to stack the protein-packed menu. 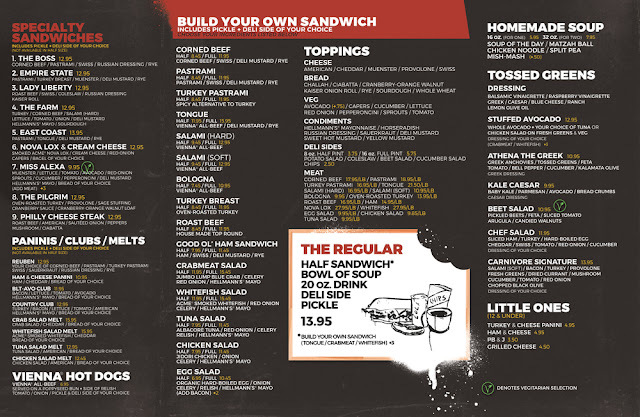 Diners have the option to build their own sandwich, or enjoy a specialty sandwich such as the Empire State. The New York-inspired item features rye bread loaded with pastrami, turkey breast, Muenster cheese and deli mustard. In true delicatessen form, all sandwiches are accompanied by a fresh pickle and side of housemade potato salad, coleslaw, beet salad or cucumber salad. Authenticity carries over into each menu item, with Matzah Ball Soup, potato salad and coleslaw crafted from traditional family recipes. True to the theme of the city that never sleeps, Carnivore Sandwich promises to dish out the best in San Diego seven days a week for breakfast and lunch. Stop by the sandwich shops Monday through Friday from 7am to 4pm and Saturday & Sunday from 8am to 4pm. For more information, visit carnivoresandwich.com and check out the menus below.